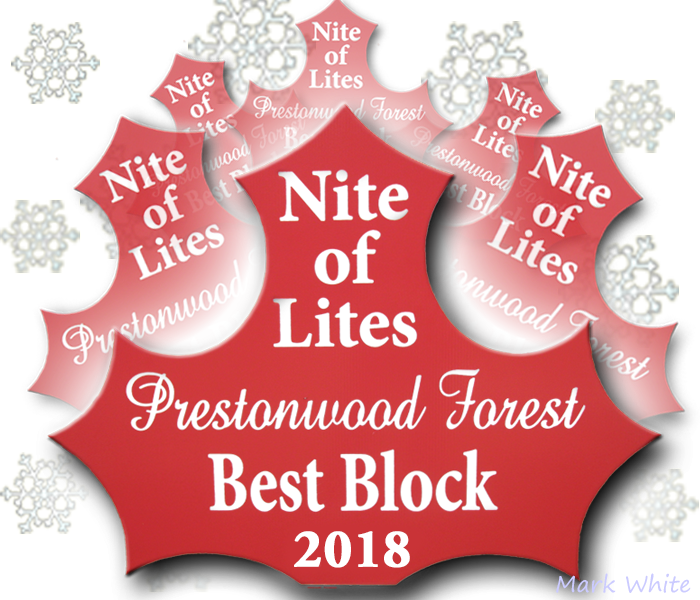 Congratulations to the 2018 ‘Nite of Lites’ Awards winners!! Their hard work and efforts are evident and certain to be appreciated by all neighborhood visitors. 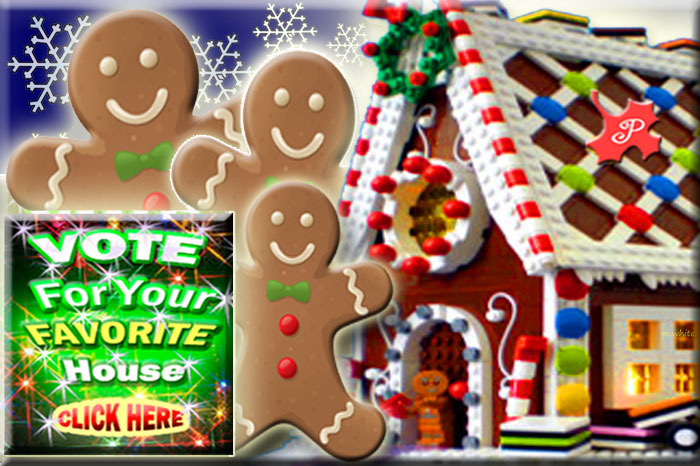 In total, thirty eight DIFFERENT, wonderfully-decorated homes were nominated, in the online voting, for the 2019 ‘People’s Choice Award’. The top-10 homes most frequently nominated included: 7514 Roebourne, 7503 Bairnsdale, 8126 Dorrcrest, 8126 Devonwood, 8226 Thetford, 8103 Bairnsdale, 8222 Middlebury, 8103 Bideford, and 8222 Coolshire. 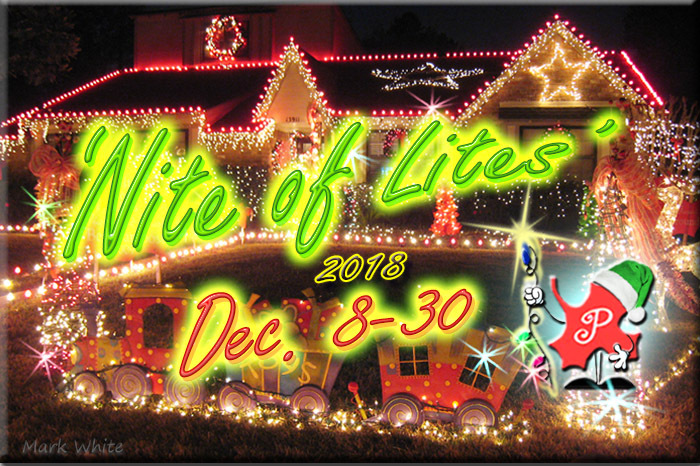 Please click the ‘Photo Gallery’ link for the 2018 ‘Nite of Lites’ Photo Gallery – Thank you to all who shared their favorite ‘Nite of Lites’ photos, making this gallery possible! 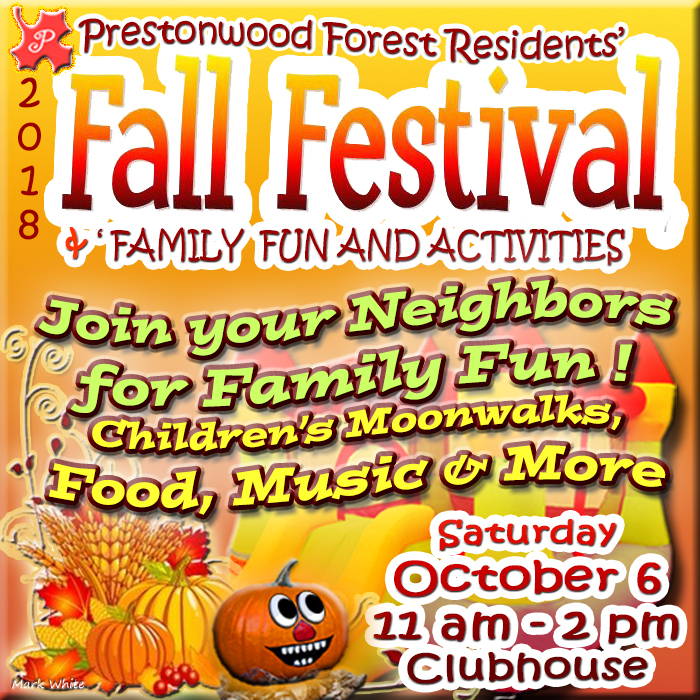 The 2018 Fall Festival on Saturday, October 6th was another great family event for Prestonwood residents to get together for fun activities, food and music. Our neighborhood constables participated and we all shared a beautiful day on the clubhouse grounds. Click or tap here to see the terrific photos provided by photographer Noe Pena. Prestonwood Forest Residents of all ages are invited to decorate everything (and everyone) in the ‘Red, White & Blue’ to ‘Roll and Stroll’ in the Independence Day Parade, Wednesday, July 4 – and participate in neighborhood activities after the Parade! The Parade lineup starts at 9:40 a.m. at the corner of Ravenhurst Lane at Prestonwood Forest Drive. 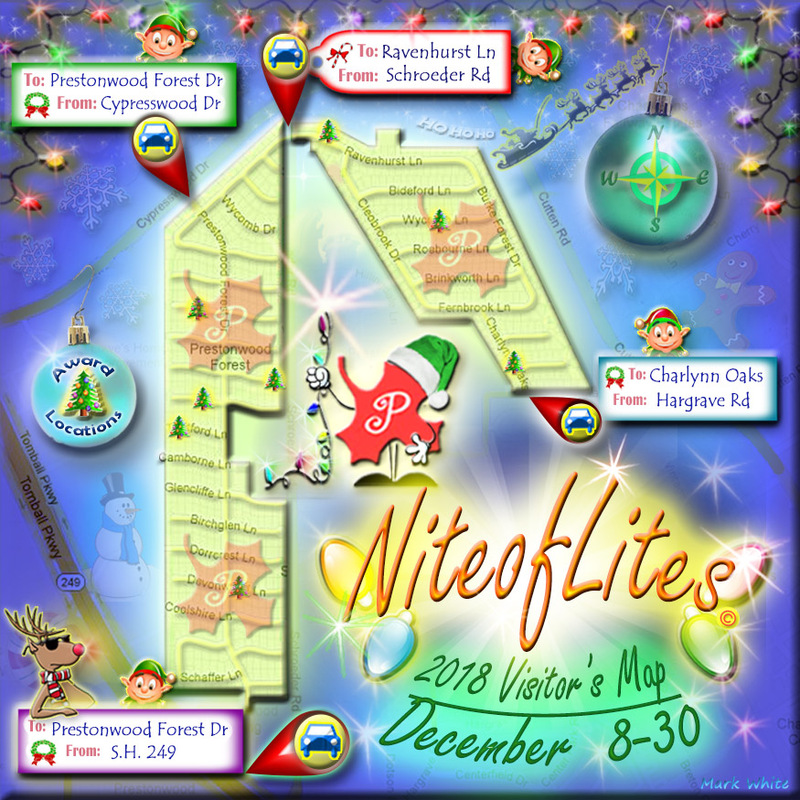 (People-powered entries line up along Ravenhurst to West of Prestonwood Forest Drive, motorized entries and floats to the East - watch for the Parade Starter!). The Independence Day Parade starts rolling at 10:00 am and ends on Glencliffe Lane at the Hancock Elementary school parking lot. Please be sure to visit the Photo Gallery for (2) great slide shows of the 2017 Independence Day activities! Residents, who live along the Parade line up area and Parade route, are respectfully asked to not park vehicles in the street (between 8 am and noon) in order to facilitate Parade activities. For pool access after the Parade, residents are reminded to pack their 'Recreation Access Cards', along with their swim gear - when coming to the Independence Day Activities! Pool-1 – (the Clubhouse Family Pool) opens early at 10 am, until 8 pm - and will feature DJ music and lifeguard-directed activities for the children, after the Parade! Pool-2 – (the ‘Other’ Family Pool) will be open from 12-noon until 7 pm and might fit the bill for those seeking more tranquility around the pool. July 4th ‘Picnic in the Park’. Following the Parade, Prestonwood Forest residents are invited to a traditional Independence Day picnic treat. 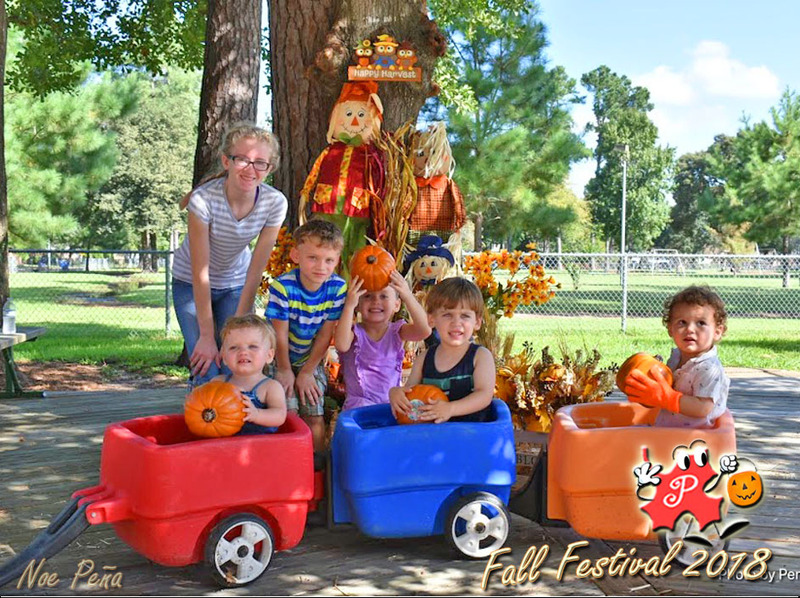 James Coney Island will return this year, courtesy of your Prestonwood Forest Utility District and Prestonwood Forest Maintenance Association. Congratulations to the 2017 ‘Nite of Lites’ Awards winners!! Their hard work and efforts are evident and certain to be appreciated by all neighborhood visitors. The popularity of the Online Voting for the ‘People’s Choice Award’ continues to increase each year – with 47 individual homes nominated and over 400 completed vote forms submitted. Congratulations to this year’s ‘People’s Choice Award’ winner for their recognition by residents and touring guests. Also a ‘hats off’ to the runner up nominee, 7503 Bairnsdale Lane, with its colorful display and placing a very close 2nd. 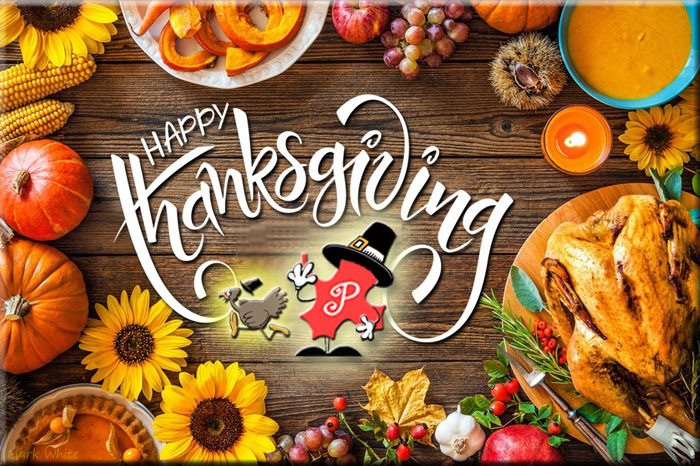 In addition, the following homes were frequently nominated: 8226 Thetford Lane, 13911 Charlynn Oaks Drive, 8118 Devonwood Lane, 8118 Wimbledon Lane, 8118 Coolshire Lane, 7514 Roebourne Lane, 8226 Brinkworth Lane, 8126 Dorrcrest Lane, and 8214 Coolshire Lane. 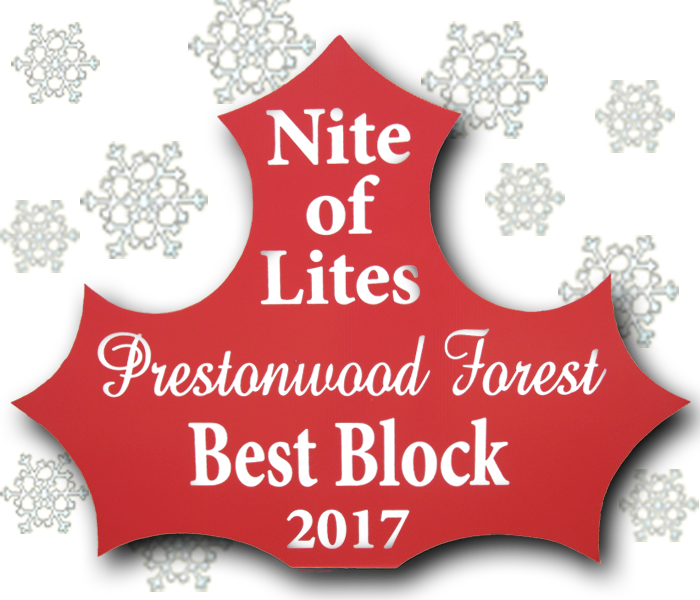 Click here for the the 2017 Nite of Lites Photo Gallery - thanks to all who shared their favorite Nite Of Lites photos, making this possible.